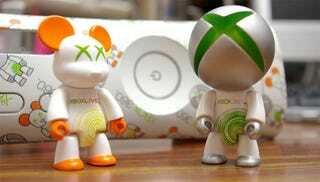 Earlier today, Microsoft released its latest set of financial earnings, and amidst the boring stuff was a sales figure you might be interested in: the Xbox 360 has now sold over 40 million units. Launching in late 2005, that has the Xbox 360 selling at just under 10 million consoles a year. Good news for Microsoft, for the most part, but it's tempered by a recent slowdown in sales, which dropped by around 12% compared to this time last year. That must be a worry as the PlayStation 3 goes from strength to strength in recent months, but then, what happened between 2009 and now is nothing compared to what's going to happen when both system's respective motion control peripherals are released later this year.